Indu auntie and her family left the bustling city life in Bengaluru [a south Indian city] — where their family had first got acquainted with ours, marking the beginning of a beautiful bond of friendship — to recede into a quiet life caring for her ageing parents in their grand ancestral home that had sheltered more than one generation below its sloping roofs that overlooked the Kalpathy river flowing gently under the canopy of the Kerala skies. 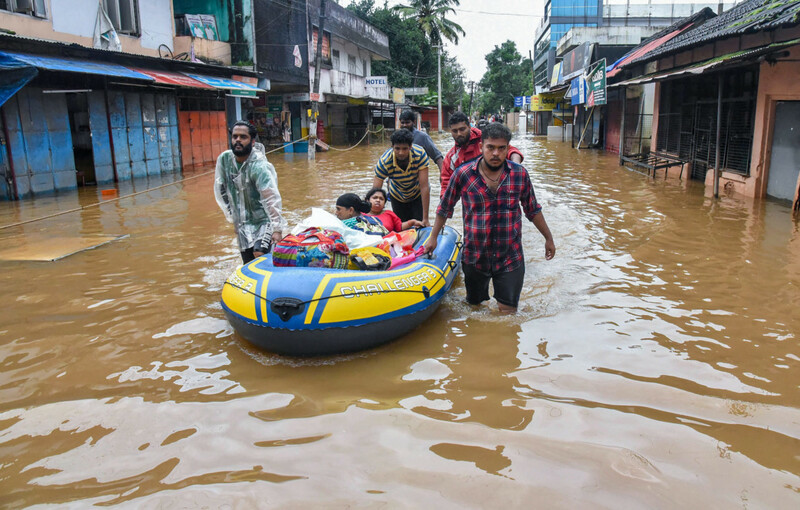 Unexpected showers in the otherwise dry Palakkad district this summer were a welcome relief, but the residents worried as the rains continued into the months that followed. On the day the shutters of the Malampuzha dam were opened amid heavy downpour, the Kalpathy river swelled. Indu auntie’s day transformed into one that will be etched in her memory forever as furious undercurrents dragged with them her daughter while it ravaged her home stripping it off every piece of memory that the years had treasured.